Thomas Kinkade died last week. 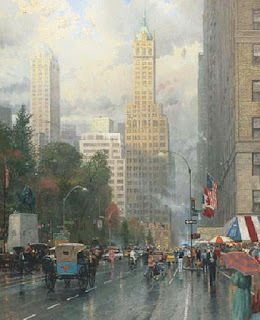 I've never been a fan of the Kinkade of sentimentality, cottages, and "light" but Joe Carter calls attention to "The Thomas Kinkade You Didn’t Know" and provides a number of examples of that Kinkade's work. On Kinkade and the media coverage of his death.